Part of the stunning Chia Laguna complex, Hotel Laguna is a wonderful 5-star hotel with breathtaking sea views. 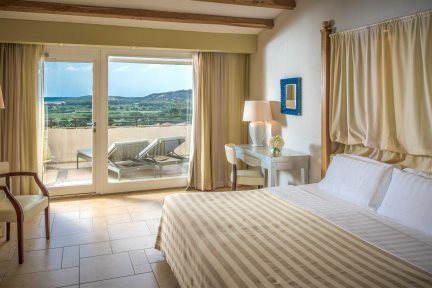 Enjoying a blissful location on Sardinia’s stunning south coast, amid the luxury, comfort and style of the superb Chia Laguna resort complex, Hotel Laguna is stylish and beautiful, offering effortless peace and relaxation to its guests. 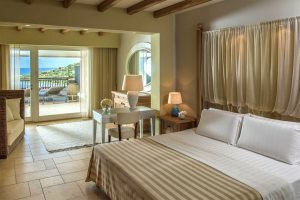 Consisting of 74 rooms that span numerous room types, sleeping from two to four, guests will enjoy wonderful views across Chia and the neighbouring lagoon, inhabited by the likes of flamingos. The rooms are modern, comfortable and well-equipped, enjoying a balcony or terrace from where to enjoy the vistas, with the blissful sandy coastline bound to catch your eye. The facilities in the hotel are also appealing, with a great on-site restaurant, La Terrazza, serving up delicious Italian and international cuisines, as well as superb wine. The Bioaquam and Club House swimming pools provide a sense of refreshment during the heat of the day, while the adjoining Chia Natural Spa is ready to recharge your batteries even further. End the evening with a glass of fizz in Bollicine, a sophisticated champagne bar boasting marvellous views of the Tower of Chia. 30-35m2, the Superior rooms are designed for couples, though a cot for an infant can be added free of charge. Facilities include en-suite bathroom, air-conditioning, mini-bar, hairdryer, television, safe and Wi-Fi. 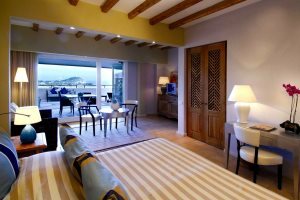 40-45m2, the Deluxe rooms have stunning views of the sea and Chia lagoon. They benefit from a terrace or a small garden, furnished with table and chairs. The Deluxe rooms are designed for both couples and families in mind and can comfortably accommodate two adults and a child under 12. Facilities include en-suite bathroom, air-conditioning, mini-bar, hairdryer, television, safe and Wi-Fi. 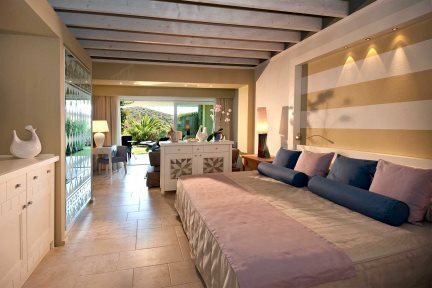 50-55 m2, the Garden Junior Suites have a bedroom and a living area, a terrace furnished with a table, chairs and sunloungers. These rooms have a stunning view of Chia bay. Their large size means they can comfortably sleep two adults and one child under 12. Facilities include en-suite bathroom, air-conditioning, mini-bar, hairdryer, television, safe and Wi-Fi. 50-55m2, the Junior Suites have a bedroom and a living area, a terrace furnished with a table, chairs and sunloungers These rooms have a stunning view of Chia bay. 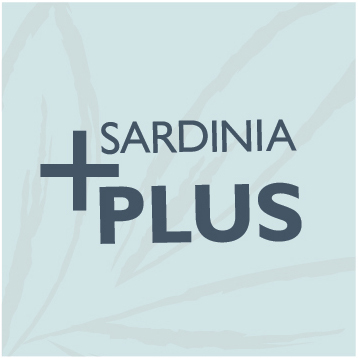 Their large size means they can comfortably sleep two adults and one child under 12. Facilities include en-suite bathroom, air-conditioning, mini-bar, hairdryer, television, safe and Wi-Fi. 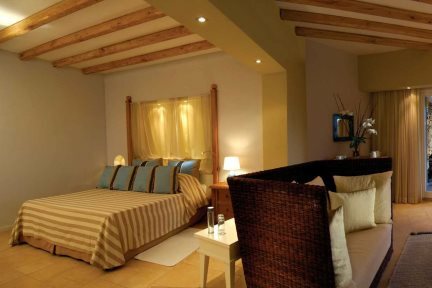 55-65m2., the Suites have a bedroom and a living area, a terrace furnished with a table, chairs and sunloungers. These rooms have a stunning view of the Chia bay. Their large size means they can comfortably sleep two adults and one child under 12. Facilities include en-suite bathroom, air-conditioning, mini-bar, hairdryer, television, safe and Wi-Fi. 55-65m2, the Garden Suites have a bedroom and a living area, a terrace furnished with a table, chairs and sunloungers and an outdoor Jacuzzi. 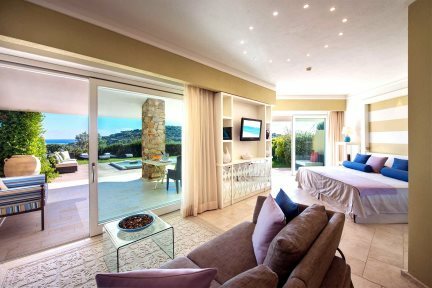 These rooms have a stunning view of Chia bay. Their large size means they can comfortably sleep two adults and one child under 12. Facilities include en-suite bathroom, air-conditioning, mini-bar, hairdryer, television, safe and Wi-Fi.